During my pregnancy I was treated like every other expectant Mum and everything was normal, or so we thought. At exactly 40 weeks I went into labour but ended up having to have an emergency c-section. Isabelle was born a healthy 6lb 11oz. Over the next few weeks we began noticing things weren’t right. 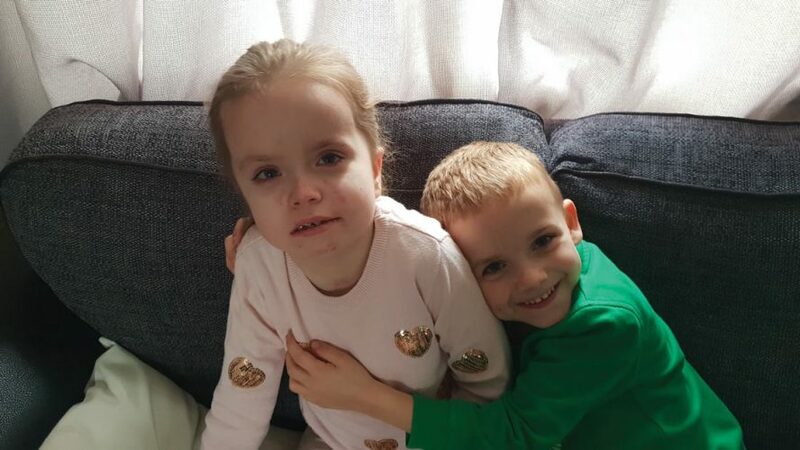 After some tests it was discovered that Isabelle had suffered a huge bleed in her brain and would be permanently disabled for life. When she was a year old we were tested for the platelet disorder ‘Neonatal alloimmune thrombocytopenia’ NAIT. The results came back positive. Me and my partner were incompatible with our platelets and this caused my body to fight against my own baby. NAIT had caused her brain damage and the tests showed it would do the same in every future pregnancy. Isabelle is 7 now. She is severely sighted, has cerebral palsy, epilepsy and is tube fed. She attends a special school and is slowly learning to walk. Despite all this she is a happy, determined little girl and is making progress constantly. After our NAIT diagnosis I found Nait babies. Here I learned about treatment. With support from Nait babies and my doctors we decided to have another child. During this pregnancy I received weekly IVIG infusions and daily steroids. Daniel was born healthy via planned c-section at 32 weeks with a normal platelet count of 275k. He is now a happy, boisterous 4 year old.